Arthur Russell Thorndike was born in Rochester, Kent in 1885. 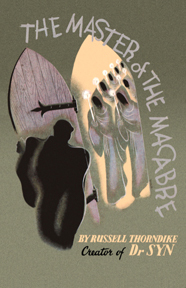 Although his sister, Sybil Thorndike (1882-1976), was the better-known actor, Russell Thorndike also acted both on the stage and in a number of films, though his first love was writing books, of which his Doctor Syn novels are the most famous. Thorndike finished his first novel, Doctor Syn: A Tale of the Romney Marsh, published in 1915, around the same time he enlisted for service in the First World War. After being severely wounded at Gallipoli, Thorndike was discharged and returned to acting. 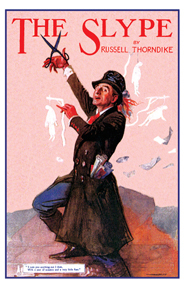 Perhaps surprised at the perennial popularity of the first Doctor Syn novel, Thorndike revisited the character several times in the 1930s and 1940s, in addition to publishing a number of other novels, of which The Slype (1927), also available from Valancourt Books, is probably the best. 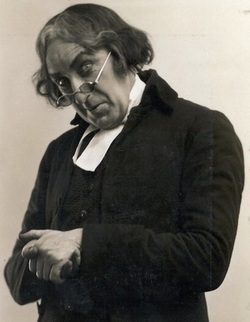 In the final twenty years of his life, Thorndike wrote no further novels, but continued to act, appearing frequently as Smee in productions of Peter Pan, and made a few film appearances, including minor roles in Laurence Olivier’s Hamlet (1948) and Richard III (1955). Thorndike died in 1972.